Skin care products are used extensively to improve skin tone, prevent aging, and keep skin soft. The variety of products available off the shelf is so vast it can be hard to decide what’s best for your skin, but the experts at Eterna Vein & Medical Aesthetics in Puyallup, Washington, can give you the guidance you need. In addition to evidence-based advice on skin care, the clinic also provides a recommended skincare range, including medical-grade skin care products. For expert advice on all your skin care needs, call the clinic today to schedule your free consultation or book an appointment online. How should I look after my skin? Day and night treatment such as serums, retinols etc. You should also eat a healthy, well-balanced diet that contains plenty of fresh fruit and vegetables, and includes the correct levels of micronutrients. Using skin care products is one of the primary methods of preventing and treating the effects of aging, so using products that are safe and effective can make a significant difference to your skin. In order to select the most suitable and effective products, you need to know what the key active ingredients are and understand how they work. 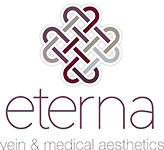 Your aesthetic specialist at Eterna Vein and Medical Aesthetics can assist in understanding your skin care products and how they will benefit you. The advantage of pharmaceutical grade skin care products is they have far higher levels of the key active ingredients than any off-the-shelf products. Consequently, they are more effective and work faster. How do I get pharmaceutical grade skincare products? For the best advice on how to care for your skin and recommendations on suitable products, visit the clinic to talk to a member of the team. Call the clinic today or book an appointment online.